Current Role: Adjunct college professor teaching start-up skills to would-be entrepreneurs. Overtime: Greenberg holds multiple granted patents, with additional patents pending, and is a published author. Many integrators have adopted the use of “total cost of ownership” to help their clients understand that the value of a solution is not just determined by the initial acquisition cost, but rather by the total cost incurred over the useful life of the system. Should you use a similar metric to measure your total cost incurred over the life of each system you sell? Such an approach would allow you to more accurately estimate your costs in advance, making it easier to provide precisely priced proposals. In addition, you will be able to more accurately gauge the profit contribution of each project by more accurately determining the difference between revenue and cost. This approach might best be applied by looking at costs in chronological order throughout the full lifecycle of the project. The first set of expenses is commonly referred to as customer acquisition costs. How much do you spend on advertising, trade shows, social media, promotional giveaways, and tools like a CRM and/or a marketing automation system? A portion of these expenses can be allocated to each client to represent the cost of acquiring that client. Don’t forget to add in the direct costs of sales, including salaries, commissions, bonuses, and T&E. The next set of steps is to prepare a proposal. Expenses during this phase can include time and T&E to conduct a site survey, as well as time to create the design. Substantial expenses can also be incurred while communicating with vendors regarding special pricing, availability, and technical support for detailed integration guidance. Depending on your accounting methods, you might also include amortized costs for design software. After you win the contract, you will have expenses to perform the installation. The most obvious expense here is technician time, possibly including travel expenses. You might also incur costs for equipment such as amortized vehicle costs, lift rental, or various tools. If the project involves any demolition or construction, there might even be permit costs, as well as the time that must be spent filing for the permits and traveling to the site to wait for and meet any required inspectors. In some cases, you will be a subcontractor working under the direction of a prime contractor. In these cases, you should account for additional time that will be spent coordinating with the prime and other subcontractors, participating in project review meetings, and educating other participants about your requirements for and contributions to the overall project. Besides the time required for these activities, you may incur additional travel expenses for meetings at the job site. The AV industry is undergoing a transformation from AV cabling to IP networking. As the number of IP-connected devices increases, so does your dependence on IP infrastructures that are often supplied and controlled by the client. Whether there is a lack of PoE support, old Cat-5 cabling that can’t really support gigabit speed, ports that are not open, or protocols that are blocked, any deviation between your network requirements and the actual configuration of the supplied infrastructure can lead to hours of troubleshooting, and maybe even more hours of waiting for needed changes to be implemented. These types of expenses are difficult to forecast, but they might be mitigated by thorough network inspection during the site survey. Once the system is operational, you may start to incur support costs. Accounting for these expenses is important whether or not you charge for support services. This can include time for training, maintenance, upgrade, and repair work. You may also need to allocate time to reconfigure the client’s existing systems to work with the newly installed system. If this customer will be using your support desk, you might also include a portion of your cost for that function. And remember, there is always the possibility of even more T&E expense anytime anyone from your team goes on site. Beyond the straight support costs, you might incur additional costs for carrying spare parts or spending time to expedite parts, labor, and service calls in response to urgent customer downtime issues. In addition to these routine costs, you might want to reserve funds for any potential damage to the customer’s premises, such as the need for carpet cleaning, paint touch up, or other types of repairs. We’ve included a summary of all of the routine costs that are often part of a project. Of course, there are always exceptions. What unusual costs have you incurred in the pursuit of customer satisfaction? 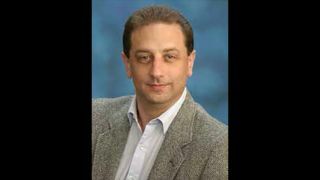 Jeff Greenberg began his career as a software engineer, over time transitioning to technical marketing, product management, brand management, strategic planning, and general management. He has worked for high-tech emerging startup companies as a consultant, advisor, and founder.